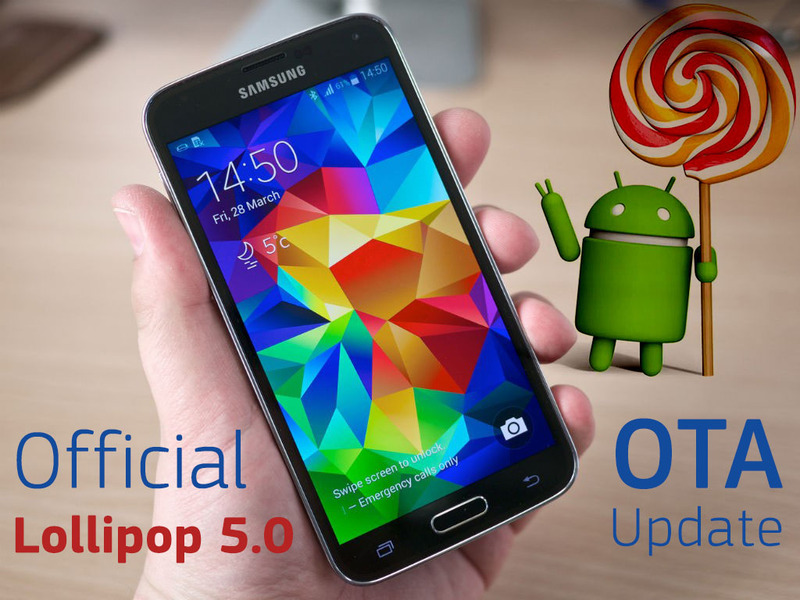 After updating the Snapdragon 801-powered Samsung Galaxy S5 (SM-G900F) to Android 5.0 Lollipop, Samsung is now Rolling-out the official Android 5.0 Lollipop OTA update to the Exynos-powered Galaxy S5 Octa-core (SM-900H) to its users in India. The update is now Available Over-the-air (OTA) and via Samsung KIES. The first market to get this Lollipop update was "Kazakhstan", more countries are getting the firmware update. Galaxy S5 (SM-900H) Lollipop update brings the same features as the original Galaxy S5 which includes Material Design, New lockscreen and a lot of performance improvements and all the latest bug fixes. Use Our Odin 3 Tutorial to see how to manually flash this firmware to your Samsung device. Also make sure that you Follow all the latest Samsung Lollipop updates on Our Official Samsung Updates Page which is daily updated.